Chhengly started her farm in 2012 after getting married. Her Husband is an electrician, and they have a child. 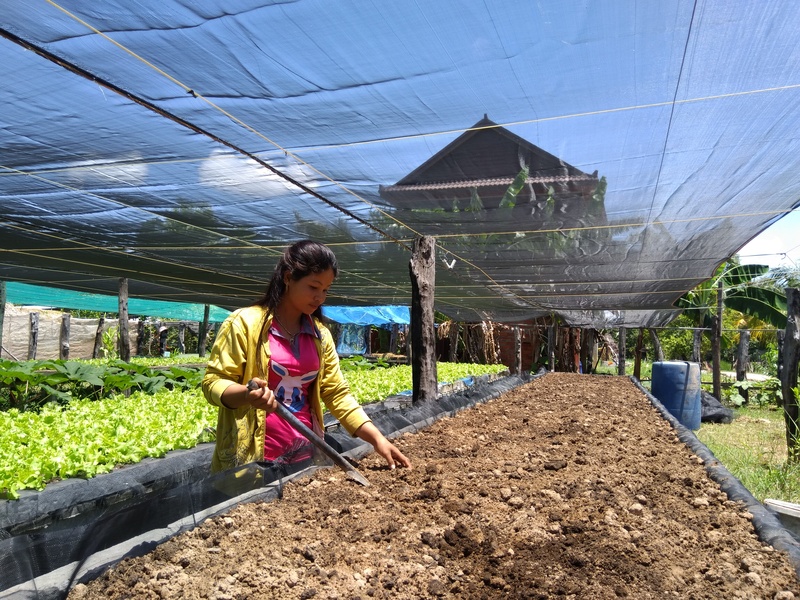 Before having been involved in farming activities, she used to be a teacher in Siem Reap town, and she later started her own business by selling vegetables. Unfortunately, her business did not go well due to unstable supplies, and finally its operation stopped. 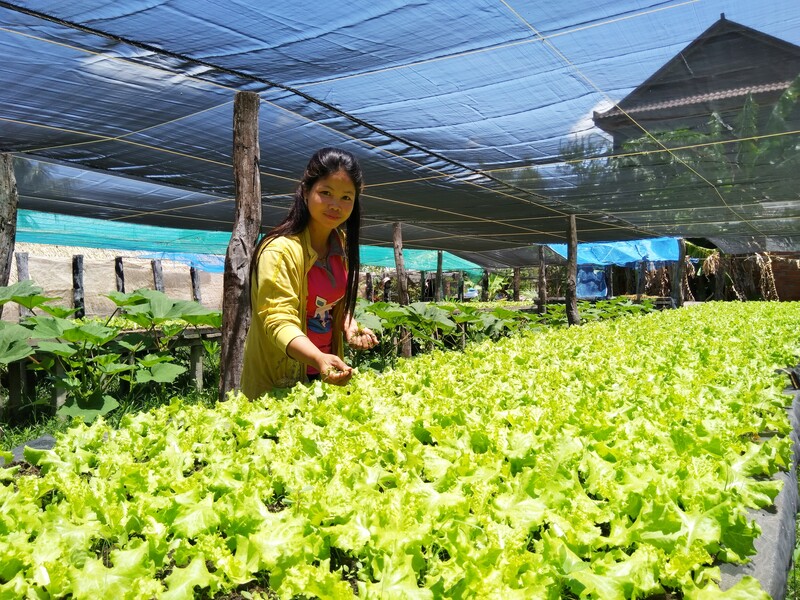 After failing in her business venture, Chhengly decided to start growing vegetables at home in 2012 as she joined GRET’s APICI project. 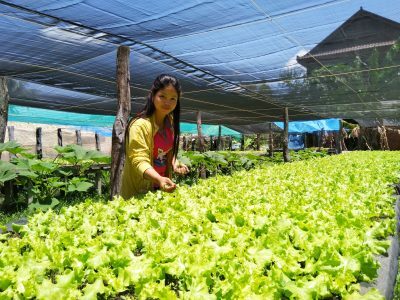 She mostly grows leafy vegetables, and her production is all year long since she practices the table vegetables production. Chhengly farm did not perform well in this dimension as the crop production depends heavily on organic fertilizers from outside sources which downgrades the sustainability level of the farm. 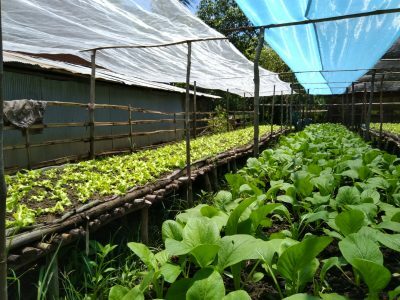 However, her farm contains a wide range of crop species including vegetables, herbs, fruit trees and rice, which complies well with the agroecological principles. More importantly, Chhengly manages to keep a small pond which serves as a major irrigation source in the dry season and keeps wild fish during the rainy season.